If you’re a fanatic for chicken wings, this recipe could change the way you approach them for the rest of your life. Not only do they require only two main ingredients besides the chicken themselves, you probably already have the ingredients in your home – especially if you’re a football fan. 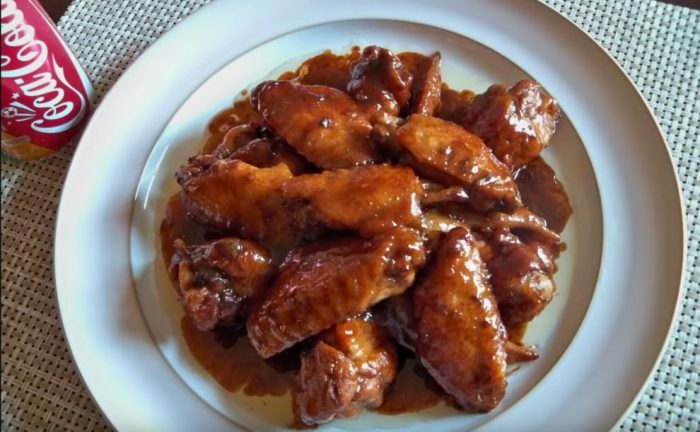 These wings, come from a recipe published on the Cooking with May Lynn YouTube channel, not only look delicious, they offer a sweet and salty flavor that you’re going to absolutely love – and so will your guests. So what are the main ingredients? Coca Cola and soy sauce. Yes. 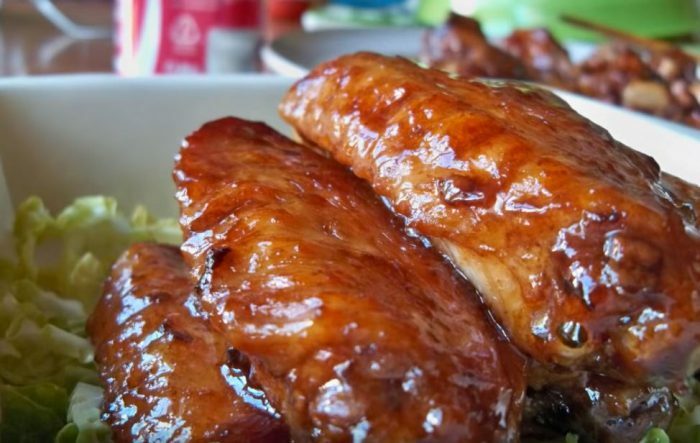 The main ingredient in these delicious chicken wings is America’s favorite soda. Although it might sound strange at first, it’s not as bad as you’d think given that the main ingredient in Coke is sugar. When you pour the can of Coke into the frying chicken most of the liquid will cook off, and you’ll be left with a delicious, flavorful caramelization on the chicken. The soy sauce adds even more flavor and color. You’ll need half a can of Coca Cola, some soy sauce and salt to taste. First lightly cover the chicken wings in soy sauce. Let them sit for 15 minutes. Then fry for five minutes. Flip and let fry some more. Then pour the half can of Coke in and let it boil off. The YouTube video recipe has gotten nearly five million views at the time of this writing. And hundreds of comments have been shared that show just how popular this twist on traditional wings is. Although many people loved the idea of using Coca Cola as one of the two main ingredients, other at-home chefs suggested some alternatives. 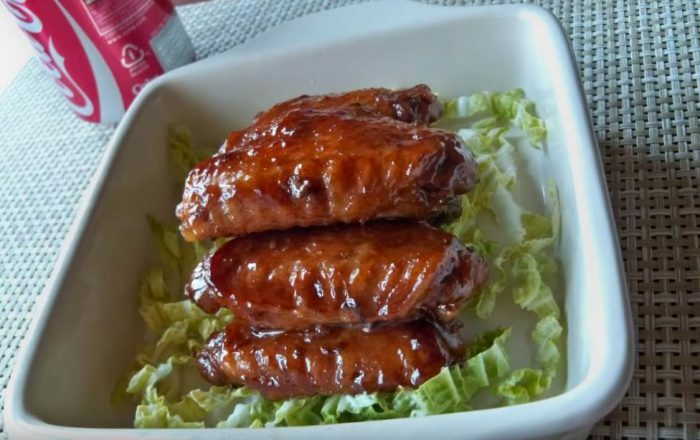 What do you think about these Coca Cola chicken wings?